This 34mm Hald ladies' watch from Skagen features a sandblasted dial with Roman numeral indexes and two-hand movement. 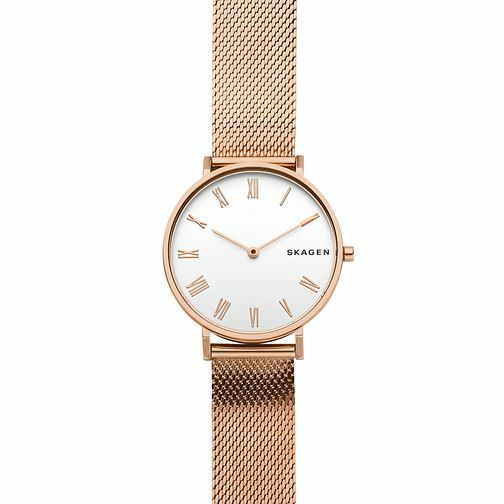 The silk-mesh strap is a smooth, high-polish take on the Skagen traditional steel-mesh bands. A quick-release-pin construction makes it easy to interchange with any 16mm watch strap.